The suspect is being brought to the court to be remanded. 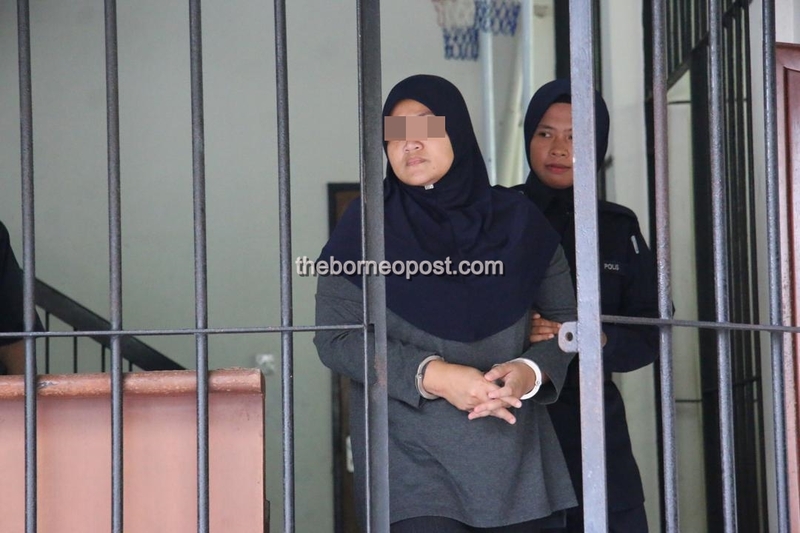 SIBU: A nanny suspected of abusing a nine-month baby boy was remanded for four days by the Magistrates’ Court this morning. The 39-year-old suspect was arrested at a house in Permai Road yesterday. Sibu Police Chief ACP Stanley Jonathan Ringgit said that the suspect who had taken care of the boy since August, last year was arrested following a police report lodged by the victim’s father. “The suspect who does not have a valid license to operate a childcare centre was arrested and her handphone was also seized for further investigation,” he said. According to Stanley, the couple work as teachers and had sent their son to the nanny’s house at 5.30am on Monday. At about noon (on the same day), they received a phone call from the suspect informing them that their son had trouble breathing. When they arrived at the nanny’s house, they found out that their son was not crying. They then rushed the baby to Sibu Hospital. The victim, who is youngest of three siblings was reported to be in critical condition and currently on life support. The nanny was also alleged to have abused another one-year and five months old boy. On Tuesday at about 1.10pm, the boy’s mother who worked as operation assistant received a phone call from the nanny asking them to take their child as instructed by the police. She arrived at the nanny’s house at about 1.20pm to pick up her child. While on the way home, she found out that there was a blood stain on her son’s lips. She then brought her son to the hospital. The cases are being investigated under Section 31(1)(a) of the Child Act 2001.